(Stephen Dafoe) Within two decades of the victory of the First Crusade (1095-1099) a group of knights led by Hugues (Hugh) de Payens offered themselves to the Patriarch of Jerusalem to serve as a military force. Related Secret Knights Templar Tunnels Discovered Under Field in U.K. In the year 1127 the Cistercian abbot, Bernard of Clairvaux, wrote a rule of order for the Templars that was based on his own Cistercian Order’s rule of conduct. Additionally, Bernard did a great deal to promote the Templars. This letter swept throughout Christendom drawing many men, of noble birth, who joined the ranks of the Templar Order. Those who were unable to join often gifted the Templars with land and other valuables. While it is true that the Templars were not permitted, by their rule, to own much of anything personally, there was no such restriction on the Order as a whole. As such, the gifts of land were accepted and put to immediate use by the Templars, who farmed the land generating additional wealth. 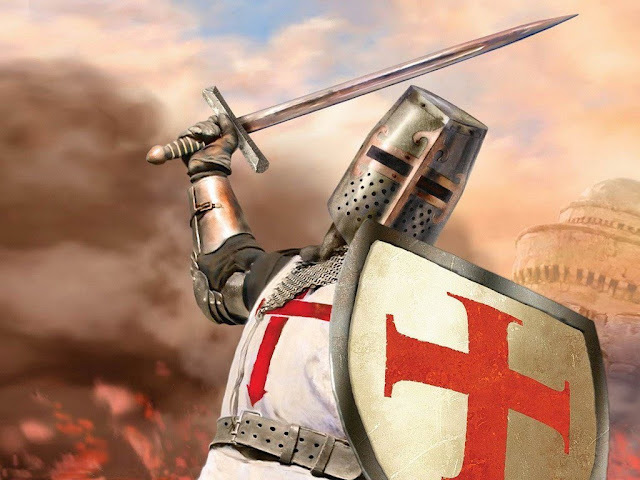 Over the years the Templars rose from their humble beginnings to become the wealthiest of the Crusading Orders – eventually garnering the favour of the Church and the collective European monarchs. This wealth, generated in the West was put to immediate use in the East to buy arms and raise armies. Although the Templars are regarded as the greatest of the medieval military Orders, the record shows that they lost more battles than they won. Despite a brutal win/loss record, the Order did play an important role in the Holy Land. The story is an apocryphal legend; however, it is one that has come to be widely accepted. Although there is no historical truth to the de Molay curse story, both Pope Clement V and Philip IV followed de Molay to their graves within the year.